The Caped Crusader has had many looks over the years, and this may just be one of the best. From the Dark Knight's adventures in the Earth 1 storyline, comes a stylized vinyl of the hero's costume. 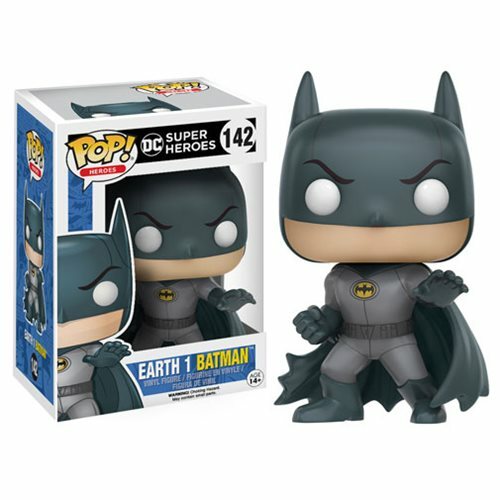 The DC Heroes Earth 1 Batman Pop! Vinyl Figure comes packaged in a window display box. Ages 14 and up.